New research published in Annals of Internal Medicine shows that two sessions with a physiotherapist for education, home exercise, and postural advice relieves neck pain more effectively than relying on pain medication and just as effectively as 12 weeks of treatment with a chiropractor. 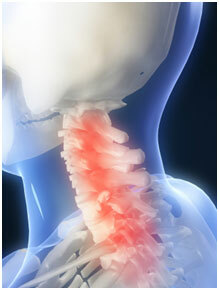 The group receiving physiotherapy also showed the greatest changes in cervical spine range of motion. These positive outcomes, coupled with the small number of treatment sessions, shows that physiotherapy also has the potential for cost savings over both chiropractic and medication interventions. Pain relief, improved range of motion, and potential cost-savings – way to go physiotherapy! See the link to the full article here!